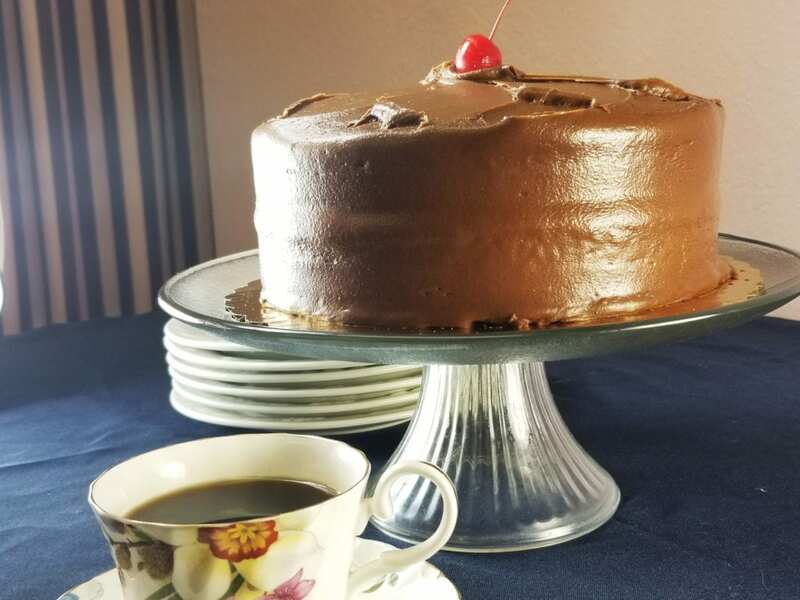 McKay’s Bakery has been Abilene’s favorite bakery over sixteen times, according to the Abilene Reporter News’ annual Reader Choice Awards. But, McKay’s has been winning fans for more than 27 years now, and as the expanding enterprise continues to grow, so do the reasons to love its sweet success. I cannot say enough about Amy (owner) of McKays. Today was my daughters wedding and we had to travel 2.5 hrs from out of town with her cake and the bakery we had gotten her cake from did not secure the cake for travel. When we arrived at her venue the cake had fell over and was trashed. She was crying and so upset but when I called McKays they went above and beyond for us. She had a beautiful new wedding cake ready for us within the hour and saved my daughters day. Again I cannot thank her enough for all she did. Will definitely do business with them again. I called on Thursday to order something for my husbands birthday. I wasn’t sure what I wanted, [however] the young lady that answered the phone was very helpful! I decided to go with cupcakes. She was asking how I wanted them decorated and again I was undecided. 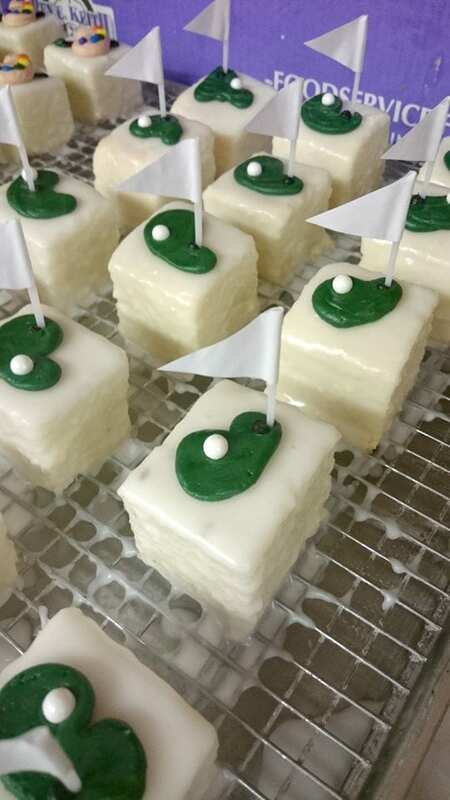 I mentioned that he likes golf and she said “okay!” My daughter picked them up for me today and I was pleasantly surprised to open the box and see what looked like a mini golf course out of cupcakes complete with golf balls! Thank you McKay’s for going the extra mile! I’ve used y’all for years and have never been disappointed! They did such a great job on our cake for our gender reveal party! 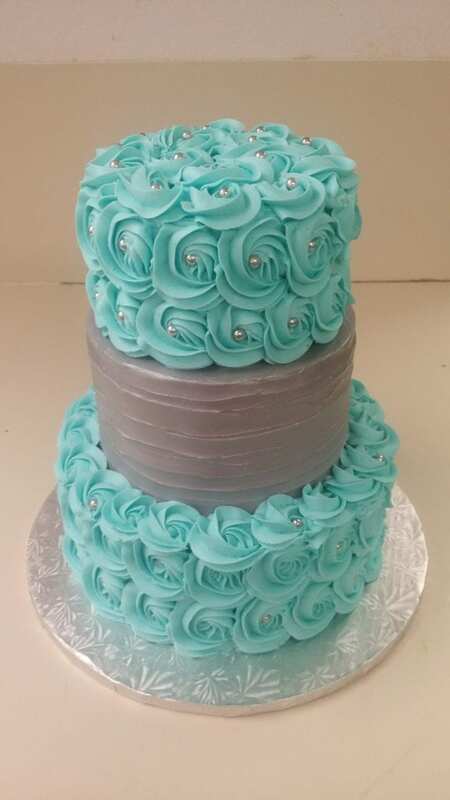 We called in the order and told them the size, flavor and frosting and that we wanted it to be blue and pink and covered in rosettes. It turned out better than I ever imagined! We have used them several times before and will continue to be loyal customers for the many many birthday parties to come! Oh, and it’s a GIRL! Amazing service and cakes! 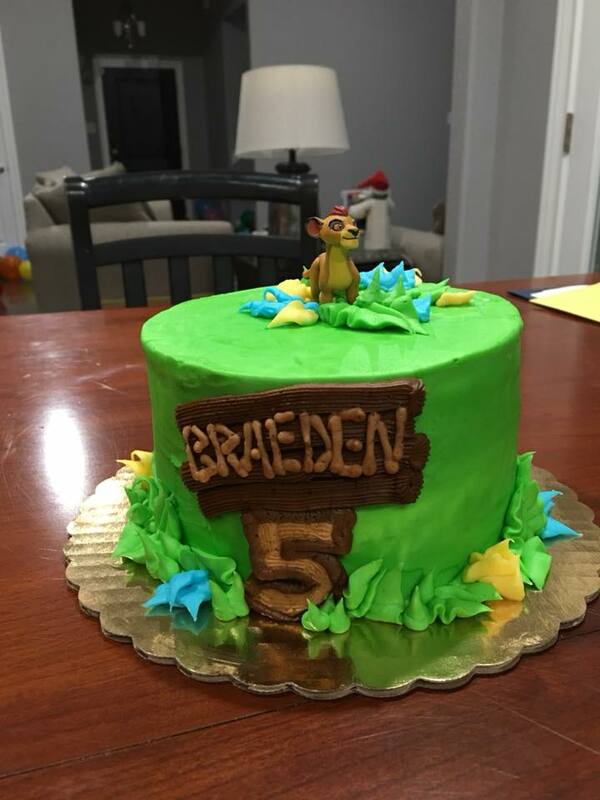 I’m so glad I picked McKay’s bakery to make my son’s birthday cakes.